On a typical weekday, Meesha Chang is doing what countless other New Yorkers in between jobs do: endlessly perusing LinkedIn and other sites for open positions, her laptop like an inanimate appendage. Her last job, a highly coveted creative consultant position within the cultural department of a tech giant, is almost certain to attract the attention of most hiring managers. However, there is one significant detail in her application that she knows could repel some potential employers: her 5-month-old baby, Lucia. Lucia is Chang's daughter with her fiancé, John. Round-cheeked and wide-eyed, the infant is a pleasure at home — but what about in the next cubicle over? For the past two months, Chang has been applying to any and every position that matches her vast qualifications, but unlike her competition, she's applying with Lucia in tow. Her ideal plan is to bring her infant daughter with her to her new office every day. "I'm being very transparent about my situation," she explains. "Lucia's name has equal billing on my résumé." She even lists her daughter's qualifications — "quiet, observant nature and positive attitude" — on her résumé and in her cover letter in hopes that companies will see Lucia as not just a caveat, but an asset. She's even brought Lucia along to interviews, once in person and once over Skype, with the newborn cooing in the background. The hiring managers greeted Lucia awkwardly, unsure of what to make of the mother-daughter duo, Chang recalls. This may seem like a pretty unconventional, maybe even bizarre, strategy for job hunting, but in Chang's view, there's no viable alternative. She prioritizes her career and motherhood equally, and she doesn't feel it's fair to have to choose between the two. "One of the most challenging things about becoming a mom for me is figuring out what kind of mom I am and can be to my child," Chang says. "I always thought I would be the kind of mom to get straight back to work. Having a child now has changed everything." For her, that means bringing her baby to work, which, to her, is not such an outlandish request. Chang is fully aware that she is fortunate to work in a field that could accommodate babies at work and senior enough in her career that she feels comfortable making certain demands of potential employers. And she is more than grateful to have John, who helps with both baby and financial duties, while she job hunts. "I know not everyone is in this position," she acknowledges. "We are told over and over that women can't have it all, can't be present parents and have a great career. This is not because it's impossible; it's because we don't have systems in place to provide that life." There are parents who don't have the luxury of requesting such policies and who have to shoulder all responsibilities alone, but Chang hopes that her advocacy for babies-at-work programs will be the first step in shifting the standard in favor of more parent-friendly policies in general. "Part of why I am pushing for companies to accommodate babies at work is so that more parents have choices in the future," she says. "We are told over and over that women can't have it all, can't be present parents and have a great career. This is not because it's impossible; it's because we don't have systems in place to provide that life." What ends up happening, Chang points out, is women leave the workforce to care for their newborns and oftentimes don't come back for years or even decades (she refers to Lori Hill, a software developer who took a break from her career to raise her kids and reentered the workforce after 22 years). This contributes to what many experts refer to as a "brain drain" in the US workforce and economy. If only companies could see this larger picture, she says, maybe then they would be more open to more parent-friendly policies. Since Lucia's birth, Chang has applied to a wide range of positions, from established companies to brand-new start-ups, and even a weeklong stint as the mayor of Danzhai Wanda Village in Southwest China. As expected, the responses have been mixed, but some companies have been surprisingly receptive. "I think it opens people's minds and makes them think backwards and forwards, reflecting back on their childhood and mother," Chang says, "as well as envisioning what kind of workplaces will exist in the future." One aspect of a mother-baby team she tries to emphasize to prospective employers is the symbiotic relationship between loving mother and industrious worker. "I feel my new skills as a mom are transferable," she says. "Why not have the next step in my career path work with, rather than against, my new role and instincts?" 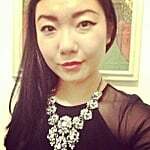 Though she has not received an offer just yet, Chang remains undeterred. "I live by the philosophy 'where there is a will, there is a way,'" she says. "And I want to be with Lucia as much as possible during this critical time. I am a better person because of her and with her." Chang is not alone. For at least the last decade, a burgeoning movement advocating for bringing babies to work has been taking shape and gaining momentum. Though the practice is still very much a fledgling one, forward-thinking companies — such as advertising agency T3 and PR firm Vanguard Communications — are starting to catch on to the value of bringing babies into the workplace. According to the Parenting in the Workplace Institute (PIWI), which provides resources and best-practice guidelines for implementing babies-at-work policies, more than 200 businesses in the US have adopted such policies. Founded in 2007 by Carla Moquin, the PIWI has helped dozens of companies implement babies-at-work programs. "There is a disparity between what people expect when they think about having babies in a work environment compared to what well-structured baby programs actually look like in practice," Moquin explains. Once a company observes the overwhelming benefits, she says, "they are typically eager to make the policy permanent." 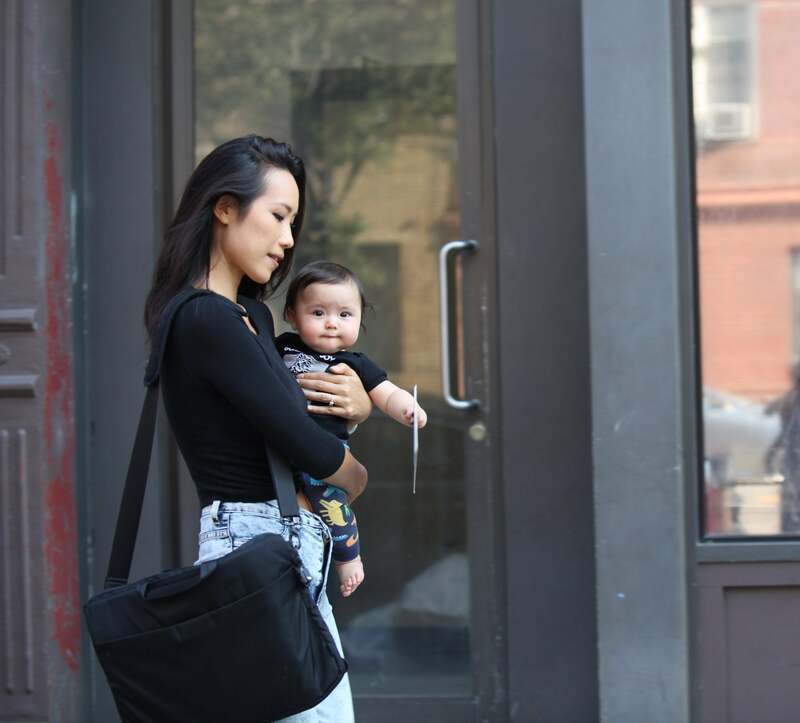 Moquin knows firsthand how valuable and life-changing these programs can be for new parents — and that many moms and dads don't have the financial and social privileges Chang has when it comes to forcing an employer's hand. In fact, Moquin herself had to return to work when each of her daughters were less than 5 weeks old. So how does a babies-at-work program work exactly? With PIWI's help, a company starts by implementing a short-term pilot program, a month-long "experimentation" that determines what a long-term policy might look like. "Once a pilot program is in place and companies see how well it works," Moquin says, "it is extremely rare for a company not to move forward with a permanent policy." PIWI also offers a downloadable template, which outlines a recommended checklist of things to consider, like eligibility parameters, waivers and agreement forms to complete, and rules for the parent to adhere to. At Badger, a family-owned company that makes organic bodycare products, employees request to participate in the program and are reviewed on a case-by-case basis. To date, the company has been fortunate to make the program work for every employee who has requested to participate. When an employee is approved, other logistical arrangements are put into place, such as a meeting room designated to easily be converted into an office/nursery, a separate room set up specifically for mothers to breastfeed or pump, and designated voluntary, alternate caregivers within Badger for those times the parent needs a break or needs to attend a meeting. As for Chang's ideal setup, she envisions a small space in the office not too far from her desk where her baby can play and sleep that would be private enough for nursing or pumping. But since Lucia loves being "in the mix," Chang hopes she can also keep her even closer, perhaps in her carrier under an adjustable standing desk, as she suggests. If there are important meetings where a baby's presence might not be appropriate, having an onsite sitter like the ones at Badger would be the perfect solution. And while Chang believes in the value of working closely with her work team, she also knows that a flexible work-from-home policy would be immensely helpful for any new mom. In Moquin's experience, these programs are adopted and integrated as seamlessly as any other company policy. It typically takes a week or two of sharing the office with their baby for the parent to find their "rhythm." "This is aided by the emotional and logistical support that most coworkers are eager to provide once they find themselves bonding with the babies," she says. Several organizations with similar programs have witnessed nearly identical results. Badger has seen the benefits of babies at work firsthand and cannot envision running their business any other way. "We've seen higher morale, increased engagement, and greater loyalty among employees," says Dee Fitzgerald, Badger's Marketing & PR Manager. "Parents feel supported and come to work knowing they are embraced by a community that sees them as a whole person and cares for their well-being." While there are inevitably going to be a few downsides, namely the occasional distraction of a crying baby, the list is minuscule compared to the benefits. "Our experience so far has been that the benefits far outweigh the concerns or inconveniences." Plus, Fitzgerald exclaims, "It's the right thing to do!" The Nevada State Health Division, which first introduced its program in 2009, noted increased productivity, improved morale, and better communication with no formal complaints. The NSHD's program was so successful it inspired other organizations in the state, like the Nevada Department of Health and Human Services and Nevada Child and Family Services, to adopt babies-at-work policies of their own. According to a report by Society of Human Resource Management, who interviewed Virginia architectural design firm Peck, Peck & Associates on its babies-at-work program, the increase in retention is a standout benefit. "We've had people who were offered jobs [elsewhere] but stayed with us because of this," founder Dianne Peck told SHRM. Curious companies, if you're reading this, perhaps one particular benefit should be underlined: not only do these programs cost very little, or virtually nothing, to implement, they will actually save you money. "If your company has an open-door policy and is invested in the well-being of its employees," Fitzgerald says, "it is a relatively easy benefit to implement with little cost and a high return." She also emphasizes that such programs are powerful recruiting tools, which saves the company money in the long run. The NSHD made a similar note in its report, calling the program a "minimal investment as long as clear expectations and rules are in place." Chang hopes to highlight this multitude of benefits each time she applies to a job with Lucia, who she calls "a natural Chief Happiness Officer." As of press time, Chang is still job searching for the right position and company that will allow her to fulfill her dual roles as mother and creative whiz. She always knew that it might be trickier to apply as a "package deal," but she remains "hopeful and curious about the outcome." In the meantime, both Moquin and Fitzgerald offer invaluable advice to new moms like Chang. "For a new mom applying to jobs, we recommend asking the hiring manager or HR representative what kinds of family-friendly benefits they offer and if babies at work would be something they would consider providing in the future," Fitzgerald says. "If the answer is 'yes,' then you know that the company culture is family-friendly and its leadership team places a high value on the happiness and well-being of its employees." Moquin's advice is more practical. "For new moms who already have a baby and are looking for jobs, we actually recommend that they focus on flexible or work-from-home jobs unless they have a potential employer that is already eager to implement a baby program," she advises, acknowledging that not all moms can afford the luxury of a lengthy job search for an office that fulfills all their asks. "It can take weeks to months to convince a company to implement a program." But Chang isn't giving up on finding a full-time job in an office environment. She has a newfound tenacity bolstered by her tiny teammate. "Babies are just everything," she says. "Babies represent new hopes, new aspirations." And if that means making the case for bringing Lucia to work knowing most companies will reject the very notion, she will do it, because she genuinely believes in the value of working alongside her daughter. "As a team," Chang wrote in one cover letter, "we can bring positive energy and change to almost any situation we encounter, and would love to bring it to you."